Attending our July Print Competition is free! Fees are charged members who are eligible to enter the competition: for up to 6 entries at $10 each, with entries 7-10 free. Please go to www.printcompetition.com to register and upload your entries. Please note that the start time for this competition is 2pm which is a departure from our traditional time. Due to the success of our new system we are able to accept a large number of entries, and as a result need to start the competition earlier. After our successful initial trial this past Print Competition in April, we are now using Printcompetition.com for our image submission and print competition facilitation. If you haven't already, please take a minute to become a new member on this website. Continue to work on your images for print competition. I will send information on how to enter print comp closer to the date. 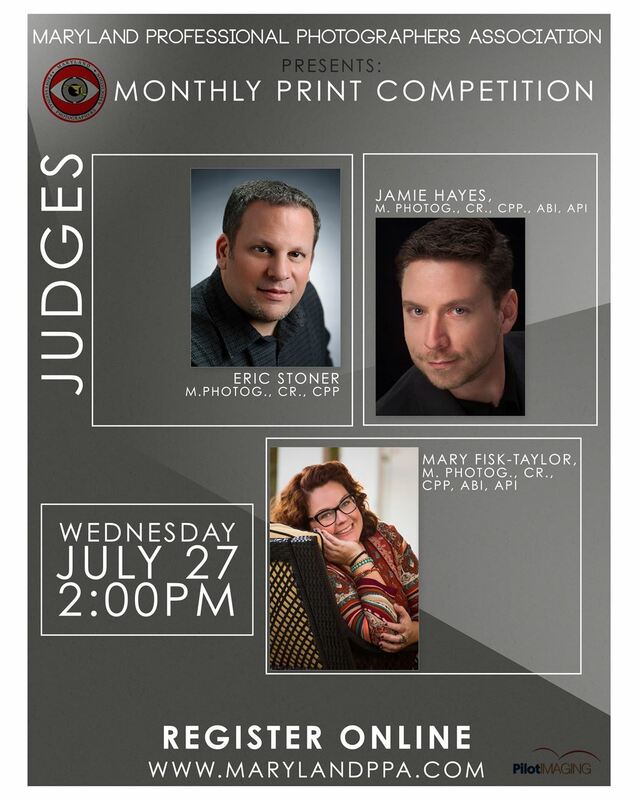 Print Competition will be held on July 27 at 2pm but your images will still be due on Sunday July 24 by 11:59pm.